It’s that time of the year. The winter holidays are right around the corner and snow is already mounted high on the streets and sidewalks! 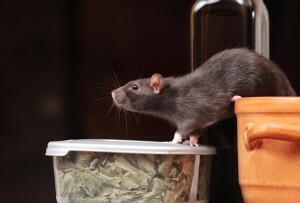 It’s also that time of year for bacteria collecting rodents to prowl your home! In fact, bacteria-carrying rodents scavenge your home all year long. However, during the winter months, homeowners see these critters more often. Below you will find the answers to why these occurrences happen and how to control them. You might ask yourself, why? Why do I typically see all other pests and insects during the scolding hot, summer months but I see rodents during the winter months? The answer is quite simple really. During the winter months, rats and mice seek refuge inside your home because it’s warmer than the freezing cold. If you are seeing these rodents in the winter time it’s a sign of one thing—you have a SEVERE INFESTATION. Mice and Rats are considered to be the second and third most successful mammals ever to prowl this earth (next to humans of course). These rodents are secluded and sneaky in their behaviors. You may very well likely have an infestation of mice and rats during summer, but, not be aware simply because it’s warm outside and they travel back-and-forth between your home and the outdoors. Once fall comes, these pesky rodents start seeking refuge inside your home through small gaps and crevices. In fact, mice can squeeze through an opening the size of a nickel, while a rat can fit through an opening as small as a half-dollar coin. Each year, rodents invade an estimated 21 million homes in the United States! In Pennsylvania, Delaware and New Jersey, there are four main types of rodents we see in the winter months: Norway Rats, Roof Rats, House Mice and Deer Mice. Below you’ll find pertinent information about each rodent and the health risks involved if you do not hire extermination management for these rodents. Norway rat – Often called the “burrower rat,” “sewer rat,” or “street rat”, is one of the most common rat species in the Mid-Atlantic States. This large, brown rat is a phenomenal swimmer (hence the nickname “sewer” rat) as they tend to swim in the sewers, pick up bacteria-carrying pathogens which result in diseases such as: Weil’s disease, rat bit fever and the Hantavirus pulmonary syndrome. Their tail is longer than the rest of the body, their eyes and ears are larger than most rats and their head and snout is pointed and slanted. The reproduction and life cycle for females is only 21 days and litters can number up to 14 (although seven is common). Roof Rat – Often called the “roof rat” for its ability to climb the siding and bricks of buildings and homes, is one harder to manage due to their adaptability of different environments. This rat is significantly smaller in size, (compared to the Norway rat) and is sleek and graceful in appearance. Females can give birth to up to a dozen babies every three weeks. This species is particularly hard to control as their adaptability to varying environmental conditions make them more mysterious and obsolete. House Mice – Often called “little thieves,” for their ability to sneak into small cracks and crevices and eat the food in your cabinets. This particular species often stalks your home on all fours but when ready for a hearty snack, will rear up on their hind legs with additional support from the tail. Part of the reason why you hear these pests at night crawling between the walls or in the attic is because they are nocturnal. While you are awake, they will hide in secluded, quiet and dark places where you can’t find them. When the lights go off-so do these mice-running off to the food source. They’re called house mice because they live in proximity to humans. If you’ve never them, chances are they are there, hiding in dark places during the day and prowling your kitchen at night. Deer Mice – Don’t let these cute little guys fool you for house pets. These mice are considered one of the more dangerous species of mice simply due to the health risks they pose to humans. The deer mouse can carry a vector to life-ending diseases like the Hantavirus, Lyme disease, Ehrlichiosis and Babesiosis. The management of these four critters is crucial. If you do not control them, they WILL quickly multiply. With winter in full gear, you will likely encounter one of these potential disease-carrying critters and not know what to do. Green Pest Solutions’ state certified personnel can help you manage your winter rodent infestation. Our team is trained to understand the behaviors of rats and mice and will put a management plan in place for you to keep them out of sight all year round! Rest assured our professionals will implement a comprehensive rodent control plan. Our team will inspect your entire home, (inside and out) while searching for crucial entry points for the rodents. Subsequently we will identify whether your infestation is of rats or mice (typically infestations do not include both). We will educate the consumer with a comprehensive plan of action and communicate this to you on an on-going, yearly basis. If your program calls for quarterly or tri-annual visits we will update you on the progress of the control of your infestation. Start today with a FREE In-home evaluation! At that time if you are interested in a rodent control program, ask about our offer of $50.00 off!